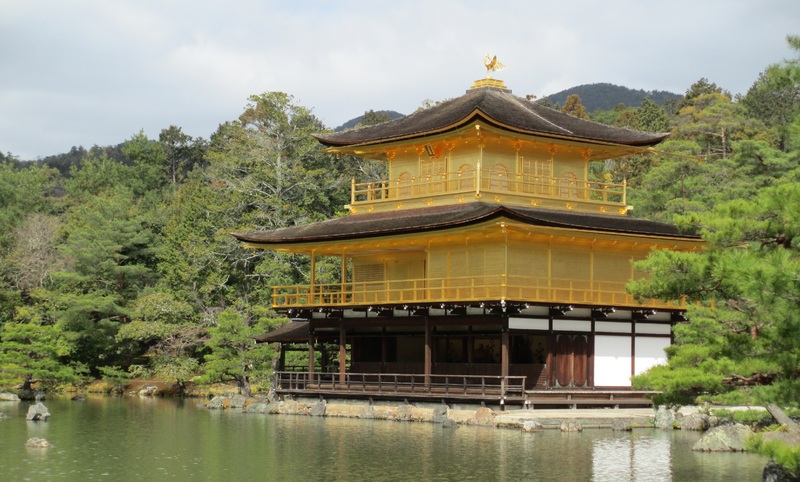 Kinkaku-ji is the distinctively gold temple surrounded by garden and water. There is no convenient way to get there except the bus. Take the 205 bus from Kyoto Station to Kinkakuji-michi. Depending on traffic, it should take around 30 minutes. Don’t worry, the bus system caters to tourists and destinations are electronically displayed and/or announced in English and Japanese. A handy bus map is available at the tourist information centre in Kyoto Station. An all-day bus pass for ¥500 is excellent value as each bus trip is ¥220 so a return trip would nearly pay off. Bus passes are also available at the tourist centre. Once you get off at Kinkakuji-michi, follow the crowds to reach the temple. Entry fee is ¥400. Kiyomizu-dera (literally pure water temple) is perched half way up a mountain and is a ten minute uphill walk from the bus stop. Once you reach the top, you will be rewarded with views of Kyoto city. Within the area are other temples, shrines and a waterfall where visitors drink the water for health and longevity. The neighbourhood north of the temple replicates old Japan. There are traditional houses, shops and restaurants and is beautiful to walk through. This area is underrated in popular guidebooks. If you’re lucky to be in Kyoto during a ‘special night event’ (check the website kiyomizudera.or.jp/lang/01.html), you should see the area is lit up with spotlights and lanterns. It is packed with locals and visitors and there is an atmosphere of festival and celebration. Kiyomizu-dera can be reached from Kyoto Station by the 100 or 206 bus. The trip should take around 15 minutes. Get off at Gojo-zaka or Kiyomizu-michi. Ordinary entry is ¥300 and special nights are ¥400. My third pick is the Tenryū-ji temple which is set against the backdrop of pine trees and forest in the Arashiyama area west of Kyoto. From Kyoto Station, catch the train and get off at the JR Saga-Arashiyama Station which is on the JR Sagano Line (San’in Main Line). The trip takes 10-15 minutes and is ¥230 or free with the JR pass. 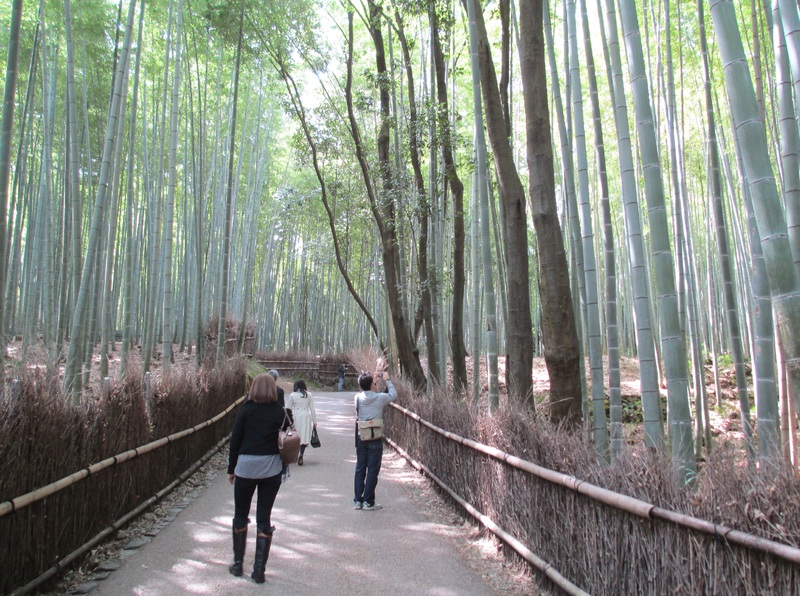 Nearby is the famous Bamboo Grove where you can walk through the infinite stalks of bamboo. It is a tranquil experience and a great escape especially if you have come from hectic Tokyo or Osaka. Entry to the temple and garden is ¥600. The bamboo walk is free.